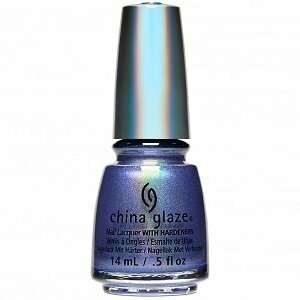 China Glaze Nail Polish, 2NITE, 1617, .50 fl. oz. Deep periwinkle blue nail color with a linear holographic effect.